The Wilton 3 Tier Pillar Cake Stand is available at our India Street Mall Retail Centre. A distinctive display, featuring locking pillars in a secure base, providing dramatic tier heights and stable support. 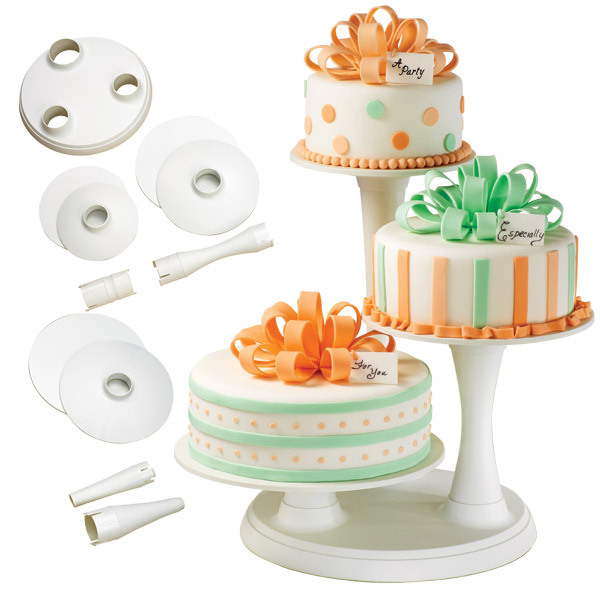 Its unique design and clean construction complements any setting—great for cakes, mini cakes, appetizers and more. Set includes 15.75 in. off-white plastic base; 3 pillars—5.75 in., 12.75 in. and 19.5 in. high; 3 plate supports and plates (10 in., 12 in. and 14 in. plates hold 10 in., 12 in. and 14 in. round cakes).